The Lord of the Hunt in his Summer aspect. Both hair and beard are oak leaves, and this same motif figures prominently on his clothing. He is accompanied by a robin, a summer bird. 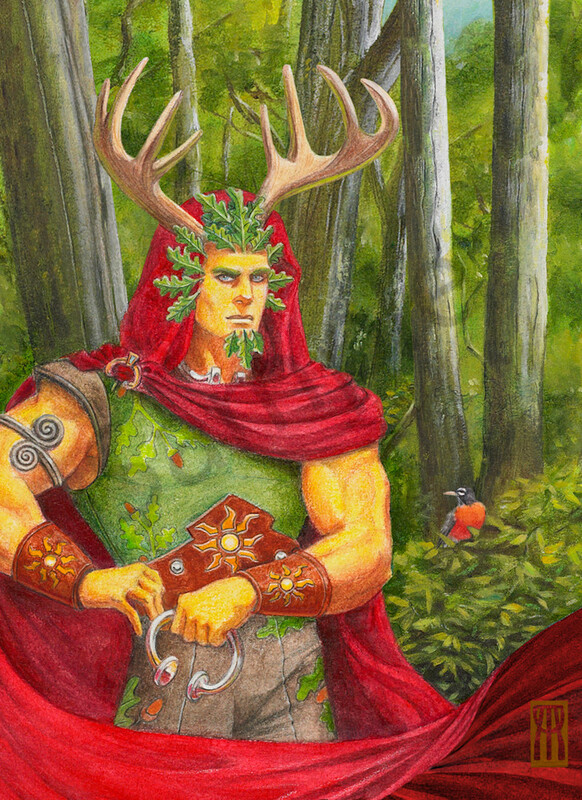 The Oak King's victory over the Holly King at the Winter Solstice heralds the return of the Sun, days getting longer and the earth getting warmer. I am so ready!